No matter our profession or our role within a team, we have a shared responsibly: deliver or create value for the customer. And whether we see it or not, the fact is we all have customers. The teams of which I have been a part over the course of my career have taken great pride in delivering value to customers. In fact, we know that in many ways our primary mission is to enable others to accomplish theirs. At the same, my most prized teammates know that as leaders, our primary responsibility is to create the conditions for others (teammates, especially our juniors, are in fact customers) to succeed long after we are gone. Generating outcomes, creating opportunity, and delivering value are what drives most of us as individuals and as teams. The challenge I have experienced of late is an increasingly overt commitment to creating value and a lack of commitment to capturing the very value we are working so hard to deliver. Creating value is no small task and foundational to all that we do. One must create value in order to capture it. At the same time, creating value without capturing it is a sure path to putting the “ir” in front of relevance. I think of creating value as starting something new that makes a noticeable difference in the life of another while capturing value as all about sustainment and continually building momentum on said value over time. 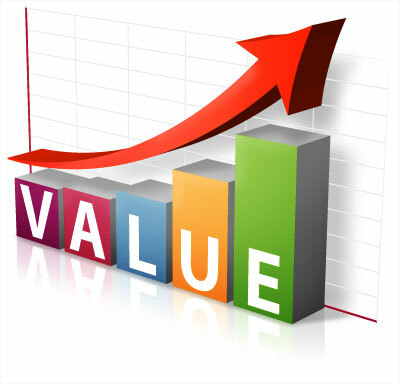 A team, organization, or company cannot survive without capturing value. In the Start-Up World, entrepreneurs set out to ‘change the world’ by creating value for a customer base. Those that are able to build upon and capture the value they are creating flourish. Those that don’t vanish. I don’t live in the Start-Up World, but I do like to start things. I like to think that the majority of these initiatives create value for others. Either way, I continue to both learn a great deal and have a lot of fun in the process, which is a wonderful byproduct experienced when transitioning an idea into action and actually starting things. But I will say, the initiatives that sustain and capture value over time are far more fulfilling than those that fill my book of lessons learned. I am finding far more evidence of individuals, teams, and organizations living on a value creation treadmill that allows them to maintain short-term relevance and provide others with short-lived hope, as they watch long-term credibility erode. These three examples are near to me because self-assessment is telling me that I have personally been falling short in these areas of late. I have been so focused on creating new value and spinning a growing number of plates that I felt as though I was running fast yet getting nowhere. I hadn’t been focused enough on aligning visible action to strategy, I hadn’t been holding others accountable for doing their job and applying their unique skills, and I hadn’t been overt in ensuring that the decisions we were making were in fact informed by the thoughtful input of a rather inclusive group. Maybe I was the only one who noticed, maybe not. Regardless, I have committed to not create any new value for the time being. Instead, I will ensure the team with whom I lead captures the significant value we have worked so hard to create together. Will that value exist without your personal involvement over time? What value have you and your teams truly captured over time?